Last month China’s Suzhou North America High School named Hiller Spires, the Alumni Distinguished Professor of Literacy Education at NC State, its honorary principal for helping open and design the school. 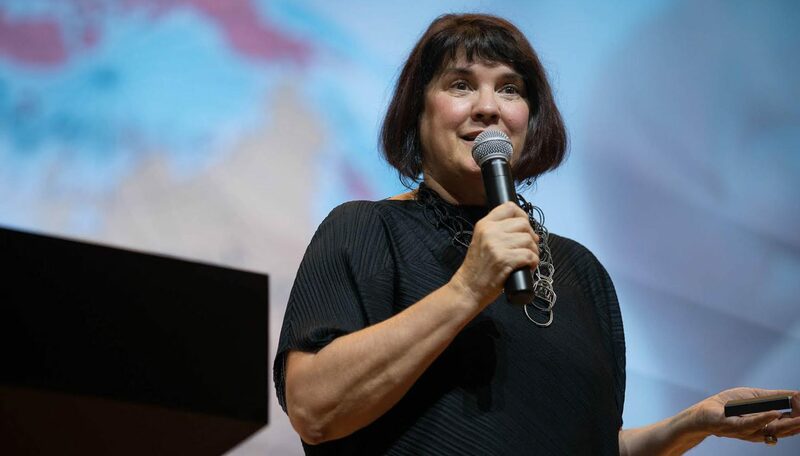 This month IGI Global has published a book she edited that drew out of her work with educators and students in China, including those at Suzhou North America. As the title reflects,“Digital Transformation and Innovation in Chinese Education” highlights the general drivers of innovation throughout China and provides examples of educational innovation in the country. The book also includes chapters by scholars in both China and the U.S., including nearly a dozen affiliated with the NC State College of Education [See NC State Contributors]. She spoke with ced.ncsu.edu about the book and the implications for educators in North Carolina and the U.S. This book is the result of over a decade of learning from and with many educators and students from China. Over the years I have witnessed firsthand many of the changes in the Chinese educational system. I thought it was important to try and capture where China is now in terms of their educational transformation. You can see that many of the challenges they face in terms of educational change are the same ones we face in the American educational system. The public in general is curious about China and its educational system. Pulling back the curtain to see what is going on in schools and how the government is promoting innovation and technology lets the rest of the world understand how a country who has a very different culture from ours makes decisions and allocates resources to constantly improve its educational system. While the Chinese government has mandated educational reform, there are many innovations at the local level that often go unnoticed. This book highlights some of these school and classroom innovations that embrace learner-centered pedagogies and digital technologies as well as collaborations with classrooms around the world. What are some of the things you learned while editing the book? Over the years, I have been greatly influenced by the ideas in Jin Li’s 2014 book “Cultural Foundations of Learning: East and West.” She makes a distinction between what she calls the Western mind model and the East Asian virtue model. Asserting that the Western tradition aims to cultivate the mind to make sense of the world and the East Asian model focuses on the perfection of the self both morally and socially, Li’s insights are particularly useful when educators and students are attempting to engage in cross-cultural collaborations. Through the production of this book, however, I see that this bifurcation does not hold up since the co-authors in this edition crisscrossed philosophies and ideologies as they negotiated meaning and constructed knowledge from multiple stances. 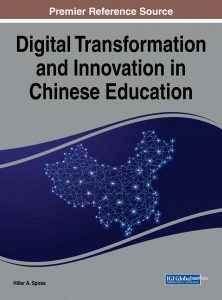 The title of the book is “Digital Transformation and Innovation in Chinese Education.” So what is the digital transformation and innovation that has occurred in Chinese education? The book highlights the general drivers of innovation and examples of pockets of educational innovation throughout the country. Clearly articulating and describing examples of digital transformation and innovation within school systems as well as individual classrooms provides valuable prototypes for others within and outside of China. In so doing, the odds of scale up, while extremely challenging, are more favorable. The U.S. and North Carolina can take lessons from China in terms of the amount of resources the government devotes to education and the determination and passion they have for creating a world-class educational system. What do you hope is the takeaway for the book’s readers? We need a global response to make the transition from a culture of violence and war to a culture of peace. We know that educational transformation lies at the center of creating a new generation with the heart and mind for solving our world’s most pressing issues. With more than 1.4 billion people, the People’s Republic of China is a critical piece of the puzzle in solving our global problems and creating a peaceful world. The book includes chapters by scholars in both the U.S. and China. What’s the significance of this international collaboration? Of particular interest within this edited book is that the majority of the chapters are co-authored by Chinese and non-Chinese researchers. I intentionally created this design so as to not simply highlight insider and outsider perspectives, but rather to have the authors negotiate their understandings across cultural biases in order to produce a multicultural, co-authored piece of work. This design, in and of itself, may be one of the most salient contributions of the book. There are also quite a few other College of Education faculty who contributed chapters. What does this say about the College of Education faculty and its mission? I was pleased that my College of Education colleagues who have worked and conducted research in Chinese education were willing to contribute important chapters to the book. Our college has an emerging focus on international education, and I think it is important for us continue to have a balanced approach to engagement that is both locally relevant and globally responsive. We want to empower North Carolina educators to be global citizens. Anything else you want readers to know about the book?